This agreement applies when renting a pitch for a tent, caravan or motorhome and cabins and rooms that is provided by Camping.se. For stays exceeding 30 days for which the campsite decides the dates of access and departure, the ‘Agreement Seasonal Camping’ applies. SCR Svensk Camping is responsible for the reservation system, Box 5079, 402 22 Göteborg. Org. Nr. 716408-5602. Adress: Box 5079, 402 22 Göteborg. The campsites on Camping.se are members of SCR Svensk Camping (the National Swedish Campsite Association) for which Camping Key Europe is mandatory when staying at a campsite. For forms of accommodation other than tents, caravans and motorhomes, different terms may apply. Check with the facility. We also act as technical provider for partners and members. This means that we also handle bookings book through other websites then Camping.se. This may be individual campsite sites, regional sites or chain associations. To book/enter an agreement with us you must be 18 years or over. For group bookings, at least two persons must be aged 18 or over, unless a higher age limit is stated when booking. A single parent staying with several children, however, is exempt from this requirement. In case of uncertainty, check what applies at the campsite concerned. Identification may be required on arrival. Meeting the age limit is a requirement for access to the pitch. You should receive written confirmation of your booking. The booking confirmation contains important information about your booking. Check that the content of the booking confirmation corresponds to what you have booked. If there are errors in the confirmation, inform us of this as soon as possible. When will my booking be binding? The booking will be binding when you receive an e-mail confirmation of your booking from us. You can buy on a 24-hour sale-or-return basis if your arrival is more than 7 days away. If you book more than 40 days before arrival, you may choose to pay the full amount directly or make an initial part-payment of 10%. The part-payment serves as a deposit and will be deducted from the final payment. If you choose to part-pay your booking and also buy cancellation insurance, the cost of this must be paid with the first payment together with any booking fee. If you have chosen to make a part-payment, the balance shall be paid no later than 40 days before arrival. An invoice fee may be payable, but there is no fee for invoices by email. If the booking is made 40 days or less before arrival, the final payment shall be made at the time of booking. If you do not make the first part-payment on time we have the right to cancel your booking. If your final payment is late and, despite reminders, you do not pay the full amount, it will be considered a cancellation on your part and the cancellation rules will apply. We offer secure payment by debit or credit card. Your card details will be sent in encrypted form. The money will be taken directly from your card when you have entered your card details and completed your booking. Camping.se does not charge a booking fee when booking online. For booking with personal service, a service charge of 100 SEK per booking is taken. Changes to a booking can be made for a fee of max 125 SEK per booking and occasion. Changes to your arrival and departure can be made up to 7 days before arrival subject to space. Every change to the original booking made less than 7 days before check-in will be considered a cancellation (see cancellation) followed by a new booking. A transfer of accommodation can be made up to 1 day before arrival provided that the transfer is for the same period and at the same price and that the new guest meets the age requirement and has a Camping Key Europe. Transfers can be made for a fee of max 125 SEK. If you choose to depart earlier than planned, no money will be repaid unless agreed otherwise with us. What applies if I want to cancel? You can cancel verbally, in writing or by email to us or via our online booking. For cancellations less than 40 days before arrival, standard compensation is charged as shown below. For cancellations, the following terms apply (when the sale-or-return rules do not apply). Separate rules apply if you have cancellation insurance (see below). • For cancellation 40 days or more before access, you pay max 10% of the agreed amount. • For cancellation 39-8 days before access, you pay max 25% of the agreed amount. • For cancellation 7-2 days before access, you pay max 75% of the agreed amount. • For cancellation less than 2 days before access according to the agreement or if you end an ongoing stay without a valid reason, no money will be repaid and we have the right to charge any agreed amount that has not been paid. At the time of booking you can purchase cancellation insurance that applies together with the terms below. Cost of cancellation insurance: max 250 SEK. Cancellation insurance means that you can cancel until the agreed arrival date. However, the cancellation must be made as soon as you know you will not be able to meet the agreement due to one of the events below. The cancellation insurance also gives you the right to end an ongoing stay and receive a refund for the corresponding part of the stay that you have not been able to use if one of the points below occurs. 4. if due to unemployment or new employment you are prevented from using your booking. Your impediment must be proved with a relevant certificate from, for example, a doctor or insurance company. The certificate must reach us no later 30 days after the cancellation date. The amount of your refund will be paid no later than 10 days after you have submitted the certificate showing that you are entitled to claim on the cancellation insurance. In the event that we breach the agreement, serious disruptions or the service otherwise deviating from the information we have given or what you could reasonably have expected, you have the right to demand redress, a price reduction or cancellation. A breach of the agreement or other service failing that is due to reasons outside our control does not entitle you to compensation according to this agreement (see the point on limits of the campsite’s control responsibility below). If a fault arises during your stay, it shall be reported to us immediately so that we have the chance to remedy it. If you do not report a fault, you cannot claim compensation. If you have received compensation but are not satisfied with it you must inform us of this within 3 weeks (21 days) of departure. This may be done verbally, in writing or by email. We recommend email. In the case that the visit cannot be completed due to an impediment outside our control and that we could not reasonably have been expected to have foreseen when entering the agreement and the consequences of which could not reasonably have been avoided or overcome, we are free from liability for damages or other penalties. If the impediment is due to someone we have appointed to fully or partly carry out the campsite service, we are only free of liability for damages if the party we have appointed would be free in accordance with the paragraph above. The same applies if the fault is due to a subcontractor we have appointed or someone else earlier in the chain. During the stay at the campsite, the attached rules and regulations apply. 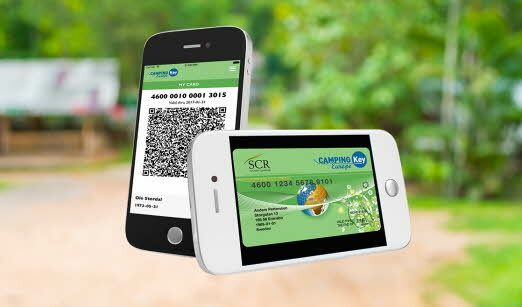 Infringement of the rules and regulations for the campsite or a breach of the agreement can lead to the agreement being cancelled with immediate effect. In the event of eviction, the amount due is calculated according to the price per night that applied for the time that the guest had access to the pitch plus the cost for the estimated damage. Any difference will be repaid no later than 10 days after the eviction. • Allmänna Reklamationsnämnden (National Board of Consumer Disputes, ARN; see address below) is an approved dispute resolution body according to the Act on Alternative Dispute Resolution in Consumer Relations. We will comply with ARN’s recommendations. We do not undertake to take part in other alternative dispute resolution proceedings than those of the National Board of Consumer Relations (ARN) and Visita but will give consideration to this issue in the event of a dispute arising. You are also free to take the dispute to a general court. We are responsible for handling the personal details you enter in connection with your booking of a pitch (such as name, address and telephone number). We will process personal details for the purpose of administering the bookings and payments and otherwise fulfilling our obligations and ensuring the rights according to the agreement we enter with you. The details may be given to debt collection agencies or an authority/court for collecting, determining and fulfilling your contractual obligations. You have the right once a year at no cost, on written request, to look at the details that have been registered, information on how these are used, from where the details have been taken and to get information about any recipients to which the information has been given. You also have the right at any time to request corrections of any changed or incorrect information. If you give your active consent, we may use your personal details for marketing our business. The right of withdrawal according to the Act (2005:59) on Distance and Doorstep Selling exempts agreements on accommodation, lodging and leisure activities and you can thereby not reverse an agreement on renting a pitch for a tent, caravan or motorhome.